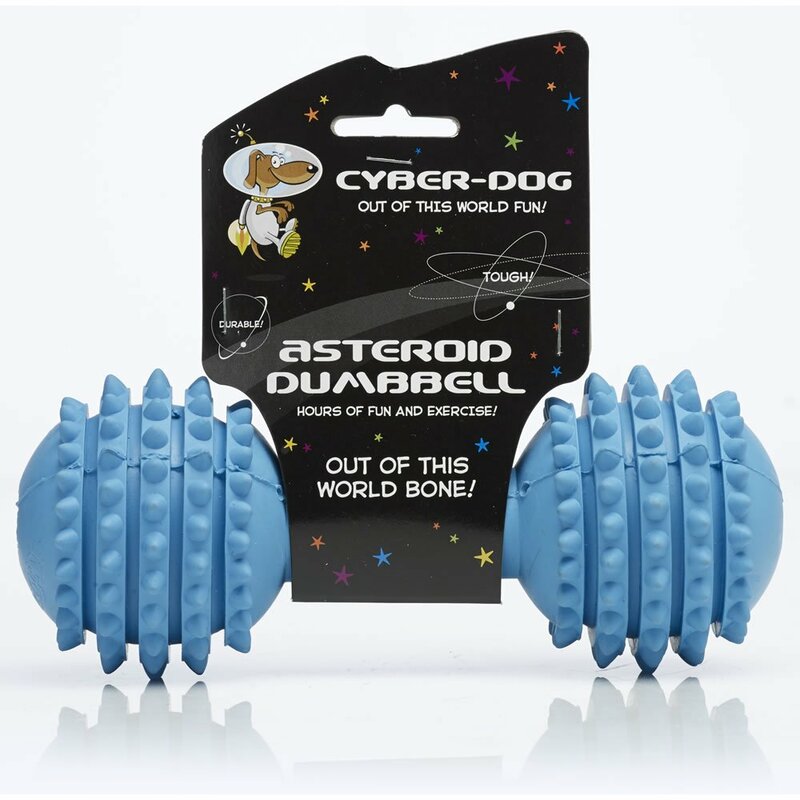 The Cyber-Dog Asteroid Dumbbell is a tough and resistant rubber chew toy that bounces irregularly, making an interesting version of fetch. The raised parts on the dumbbell stimulate the gums when chewed, which promotes dental hygiene through play. Supplied in randomly allocated colours. Below are some recent questions we've received regarding Cyber-Dog Asteroid Dumbbell Dog Toy, including answers from our team. The product dimensions are 20.3cm x 7.6cm x 7.6cm.